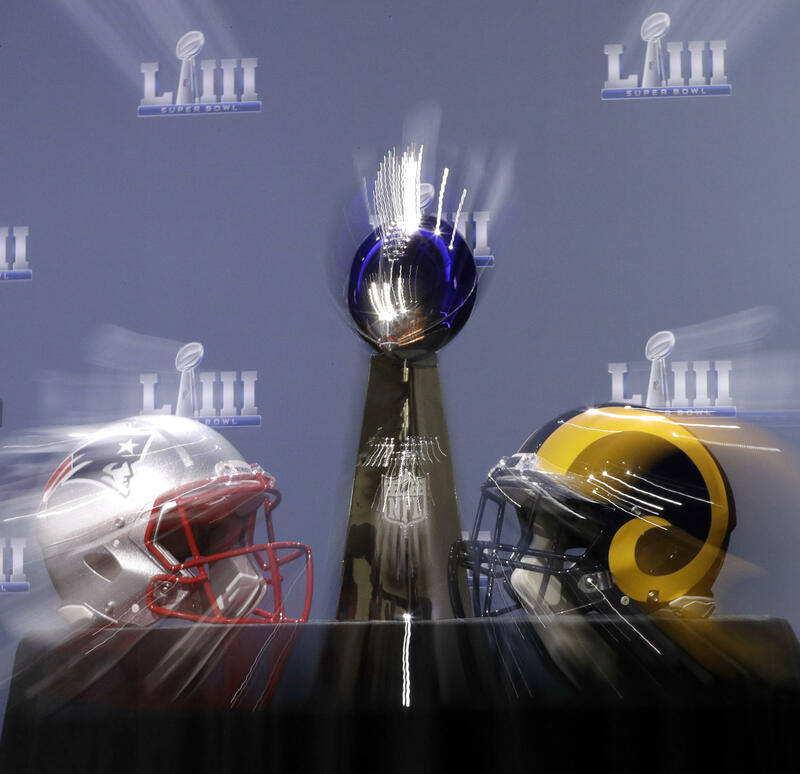 It's the Pats vs the Rams in Superbowl 53 this Sunday. Today, it’s Midday on Sports: Gridiron Edition. Super Bowl 53 is being played on Sunday. We thought it a good time to talk about the state of the NFL, particularly the league’s evolving response to the prevalence of serious head injuries, and the fact that the NFL and leagues like the Pop Warner Youth League for kids are having a hard time finding insurance companies who are willing to write policies that cover serious injuries. 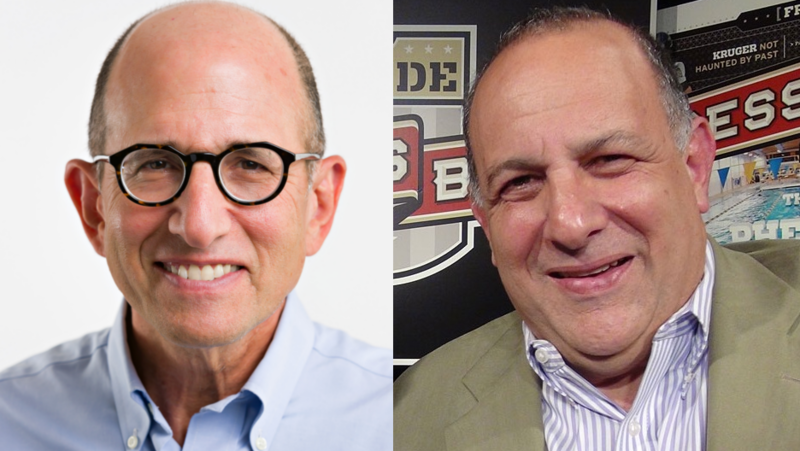 Sports author/educator Mark Hyman (l.) and Stan the Fan Charles, founder/publisher of sports media company PressBox. Today's conversation was live-streamed on WYPR's Facebook page; watch the video here. On our show today, one of our guests, Stan Charles, referred - without naming her - to Colin Kaepernick’s girlfriend as a “radicalized Muslim.” (The woman’s name is Nessa Diab.) Mr. Charles then asserted that because she published a meme on social media comparing NFL owners to slaveholders, Baltimore Ravens owner Steve Bisciotti stopped considering hiring Colin Kaepernick. Evidently, that assertion is based on an interview that former Ravens linebacker Ray Lewis gave to a program on Showtime, Inside the NFL, in September 2017. ESPN reported Mr. Lewis’ claim that the Ravens Coach and General Manager were interested in hiring Mr. Kaepernick, but that Mr. Bisciotti would not allow it. I knew nothing about this story until I looked into it after today’s show. In 2016, a year before Ms. Diab’s Tweet to Mr. Lewis, Congressman Steve King from Iowa gave an interview to Newsmax TV in which he claimed that Ms. Diab was “sympathetic to ISIS.” There is no evidence whatsoever for making this claim. Because Rep. King said it does not make it true, nor is the press obliged to repeat it. Ms. Diab, who happens to be an American citizen, was raised in the Islamic faith, like more than a billion other people. I strongly disagree with Stan Charles repeating Congressman King’s characterization of Ms. Diab as a “radicalized Muslim.” The claim is without merit. Repeating it was offensive and wrong.